How big should your canvas be? 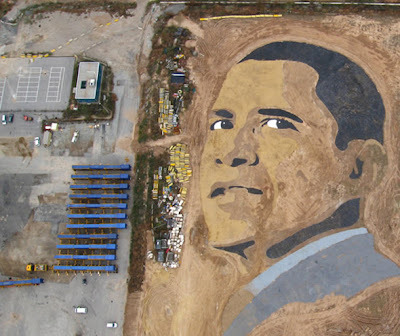 How about 2.5 acres of ground to create a gigantic Obama portrait? This piece is called “Expectations,” sand art by Jorge Rodrigues Gerada.